EPIC robotic panoheads make it easy to capture gigapixel panoramas - quickly, accurately and with beautiful results. GigaPan EPICs can work seamlessly with GigaPan Stitch software and GigaPan.com and also be used with other stitching solutions such as PTGUI software etc. 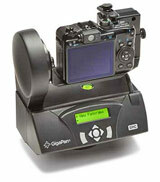 The flagship model of the GigaPan range, for larger DSLR Cameras, longer lenses, Video Cameras and great results. 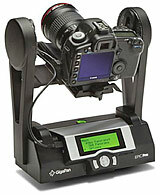 Mid range model from GigaPan, for compact cameras and some smaller DSLR models. 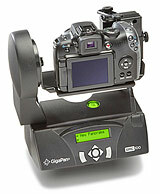 Entry level model of the GigaPan range, for use with smaller compact 'point and shoot' cameras.